We saw this recipe in a supermarket magazine ages ago and decided there and then that we had to do it in December. 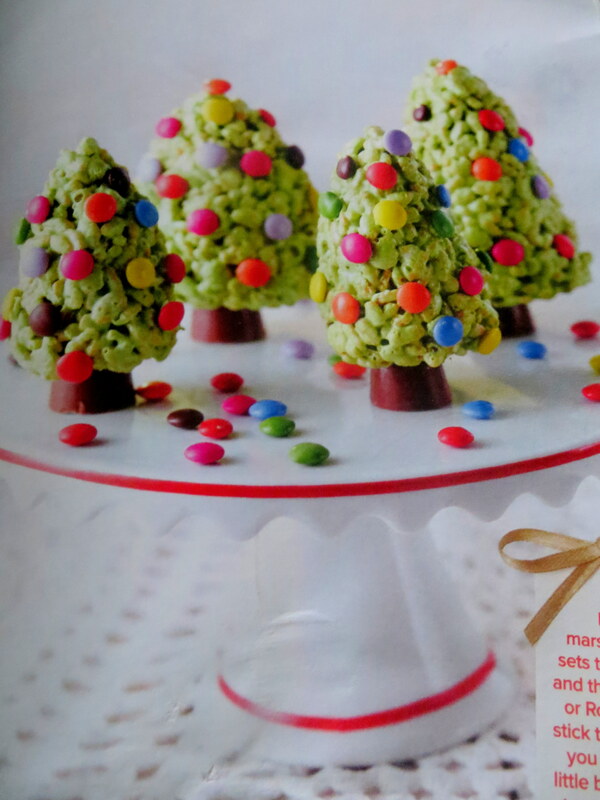 Rice krispies shaped to look like Christmas trees and decorated with smarties with a rolo base? – adorable! They made it sound oh so easy. Melt some butter, add a ton of marshmallows and let it all melt some more. 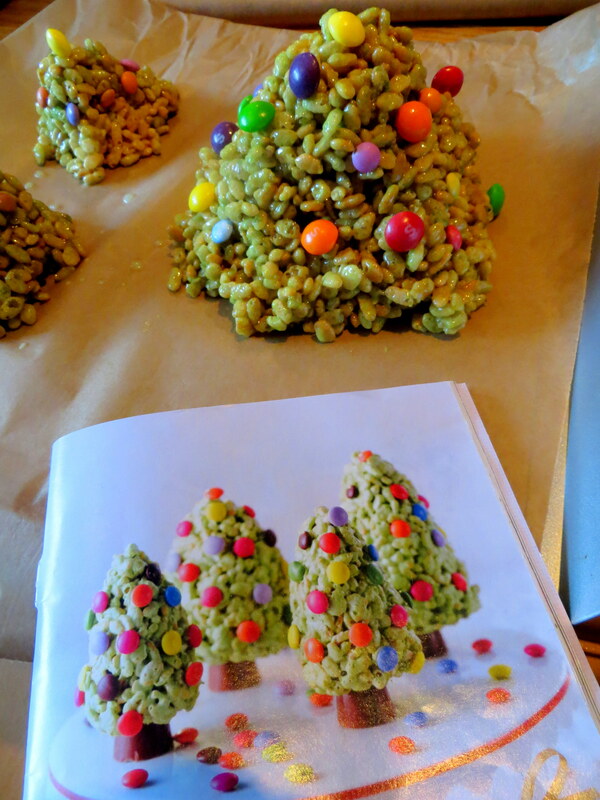 A touch of food colouring then stir into the rice krispies and shape. It’s only warning was to work quickly to make sure that the decorations stick. Reality 1 – more food colouring than anyone should ever eat was needed for a jolly old green. Reality 2 – only a 7-year-old can get the correct balance between wet enough hands for shaping, and not wet enough hands for frustration. I gave up quickly, hands covered in sticky green rice whilst Lil D patiently experimented with shaping techniques til she found a way to make triangle.